This has become a great introduction to our textbook and the early, early figures in Louisiane history. 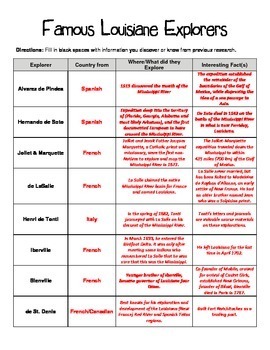 My student's only problem was Pindea simply because we generally do not cover his explorations due to the fact that he generally explored the Gulf from Florida towards Texas. 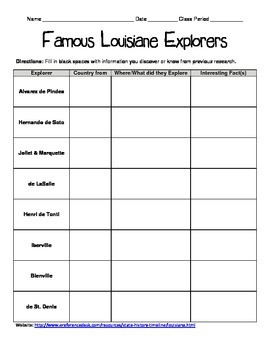 Other than that, this has become a good general knowledge worksheet for my middle school students. It becomes an early grade to start the year of research. 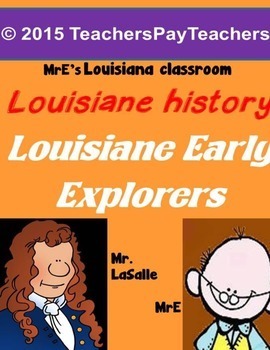 They have learned the general order of explores and historical figures in Louisiana history.